It must be a daunting job to be the third wheel in a trio with the likes of Satoko Fujii and Natsuki Tamura. The husband-wife piano and trumpet duo are remarkably active. Both are inventive composers leading numerous bands with diverse approaches and each is often in the other's groups. They've got a commonality it would seemingly be hard to step in on. Percussionist John Hollenbeck rises to it, though, and the couple has smarts enough to let the trio be a group. The result is not a one-off meeting and it's not the unfinished effort the title Fragment might suggest. Rather, it's a strong album by a group that deserves to outlast the ships-in-the-night nature of many improvising ensembles. The ten compositions are all Fujii's and build nicely across the disc. The first two tracks feature Fujii's piano stating themes against squeezed trumpet and buoyant drums. But then, surprisingly, they delve into deeper territory. 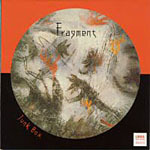 Fujii's prepared piano and Hollenbeck and Tamura's quiet extended technique become an organic whole, sounding oddly electronic at times although the group is billed as being acoustic-only. What makes what might otherwise have been an unbalanced trio work is that Hollenbeck, too, is an imaginative and subtle composer. He doesn't try to stand out, at times disappearing altogether to allow Fujii's compositions to show through. And they do. Fragment is yet another set of strong pieces well-played by the startlingly prolific pianist. Track Listing: A Dream in the Dawn; Ants Are Crossing the Highway; Getting Lost on Snowy Day; At Intersection, on a Rainy Day; Looking Out of the Window; Your Neighbors; Wok Cooking; Tin Can Godzilla; Cats' Nap; Lullaby. 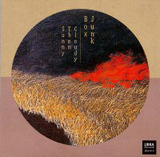 Personnel: Natsuki Tamura: trumpet; Satoko Fujii: piano; John Hollenbeck: percussion.